100 Acres with log cabin and private pond. Your perfect Adirondack retreat. Privacy and nature! Enjoy fishing, kayaking, hiking, swimming and hunting all on the property. 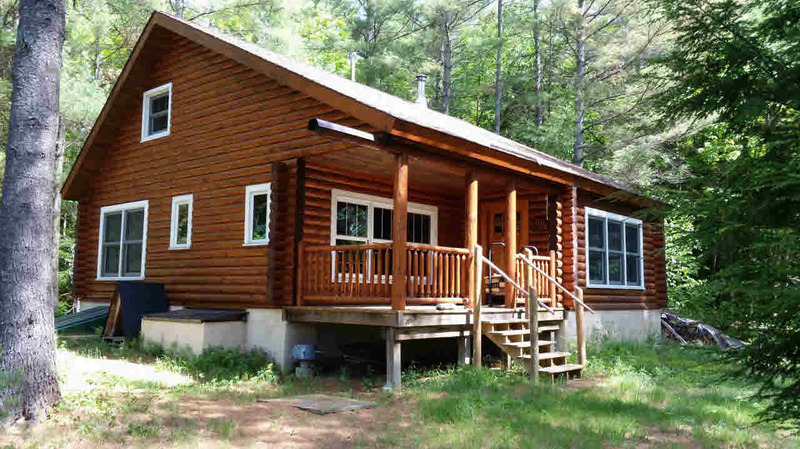 Two bedroom bright and airy 3 season log home with open loft and great room. Cozy up next to the cook woodstove.2 Generators and composting toilet! Handcrafted details throughout this one of a kind nature lovers green home. Close to I 87, Chestertown, Gore Mountain, Brant Lake and Loon Lake!Ready to move in.